A new era for Taiwanese football got underway tonight, as Louis Lancaster got his managerial career started away in Myanmar. We were interested to see if Lancaster would deviate from the style of play that Taiwan used under Gary White and himself (as an assistant). For those of you who follow our blog, you will already know that Louis Lancaster worked as assistant manager for Taiwan when Gary White was in charge. Those of you who don't follow our blog, well now you know too. The key thing that we had in our mind was to see if Lancaster would set Taiwan up in a similar way to Gary White or stamp his own ideas on the squad early doors. As it turned out, I thought that Lancaster's side was more attack focused than White's. Even though both managers are very attack-minded, the difference lay in the subtly of the details. I believe the formation looked the same, maybe with some slight tweaks. However, the slight tweaks which made Lancaster's approach more attacking than White's, in my opinion, was the intensity of the pressing, and where Taiwan was instructed to win the ball back. So, those subtle differences in more detail, both managers look to be chipped from the same rock when it comes to how their teams want to play. This is then maybe why they worked well together, but now Lancaster has broken out in his own right, and if this game is anything to go by, then he is a very smart manager because he will have known that he doesn't need to come in then throw everything into the bin that White did but add in some minor tweaks where he reckons their needed to improve. After one game for Lancaster, the main difference I could see was where he and Gary White want their teams to win the ball back on the pitch. In my opinion, Gary White likes his teams to press in their own half, win the ball back then get it forward with quick direct passing, therefore exploiting the transition as the opposition attempt to get back into their team shape to defend the counter-attack. If the transition can be exploited quickly, then there is space in the opposition's defence to exploit to your advantage. That was White's approach with Taiwan. Lancaster (albeit based on his first game) had Taiwan pressing high and aggressively up the pitch, in an attempt to win the ball back further up the field. He also didn't want to use the quick direct passing that White did, he seemed to have a mixed style of play giving the players the freedom to make use of long or short passing depending on what that specific situation required at that moment. Therefore I would say that Lancaster is slightly more attack-minded than White based on the fact that he wants to aggressively win the ball back higher up the pitch, and had his team pressing like madmen all through the game. I also believe it paid off, as Taiwan had so many chances to score, but lacked the composure needed to place the ball calmly into the onion bag. 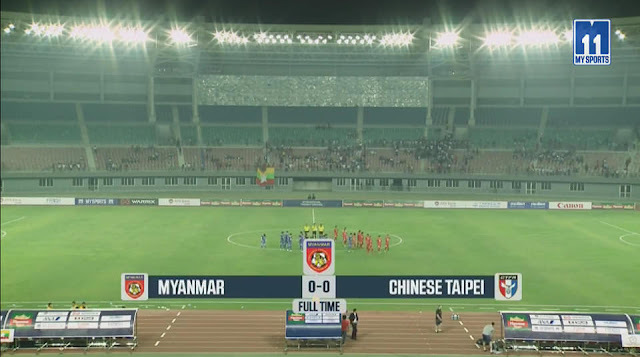 With all that said and done, it is only one match and a friendly to boot, but if this is Lancaster's intention for how Taiwan is going to set up and play in their up-and-coming matches, then the future looks bright for Taiwan as they head into the World Cup qualifiers in September. The CTFA (Chinese Taipei Football Association) have known that they will be hosting the East Asian Championship second round for some time now, and have made very little effort to get the word out to the Taiwanese public about this event. This has been reflected in an abysmal turnout that has been reflected in the attendance at the games. I saw the news tonight that the Malaysian football association will hold a 4 team friendly tournament in March 2019 and have invited Taiwan to play in it. 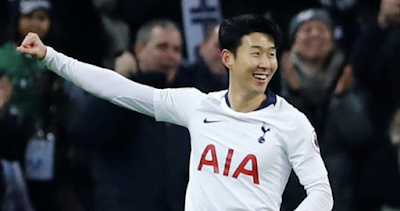 In a disappointing story to emerge from the weekend, racist abuse has been reported towards the Korean attacker Son Heung-min during his clubs defeat to Manchester United. The early investigations suggest that the Korean had racist abuse aimed at him from someone in the home end at Wembley on Sunday.